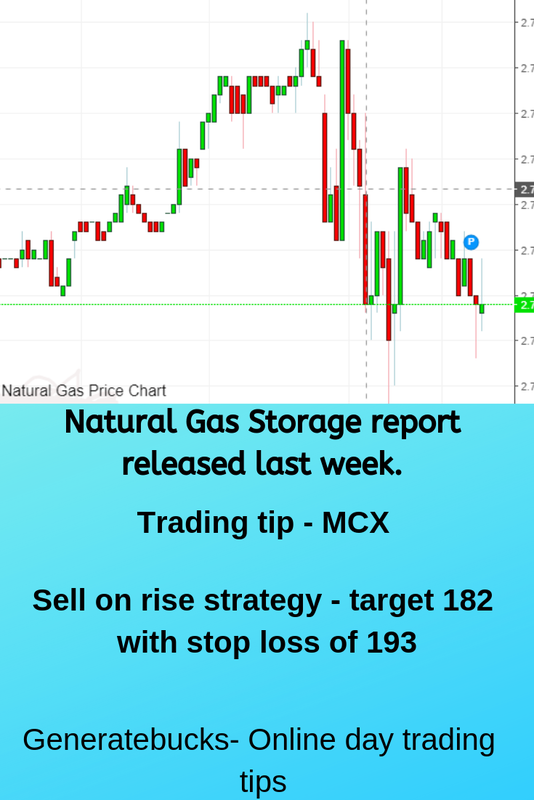 As mentioned last Thursday, prices touch 187 this week. 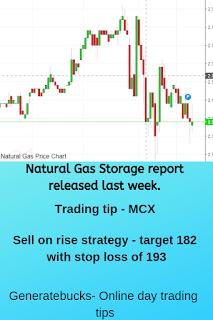 This week based on the EIA Storage report and weather forecast, I would suggest sell on rise strategy. According to NatGasWeather for March 28 to April 3, mild conditions would build. It is expected to get very warm in some parts of US thus generating demand. Coming week is expected to be unsettled. We could expect warmer and colder temperatures. National demand would be moderate to high based on the production. Analyst were expecting lighter withdrawals. Bloomberg estimated a median prediction for a 41 Bcf withdrawal for the period ended March 22. The range of guesses is minus 29 to minus 54. The ICE EIA financial weekly index futures settled at a withdrawal of 32 Bcf, while IAF Advisors analyst Kyle Cooper called for a 33 Bcf pull. Natural Gas Intelligence is calling for a withdrawal of 40 Bcf. I am expecting market to trade in range but I would not advise anyone to buy in this market. Sell on rise should be followed. This is not the market to buy. A trader is advised to follow sell on rise strategy. I would suggest to create short positions around 192-193 for short term target of 185 with stop loss of 196. Positional traders should average their positions and stick to their position. I expect NG prices to trade around 180 in few weeks.